Our most popular president in decades is using his rock-star status to push his anti-nuclear weapons agenda—and got the unanimous backing of the Security Council on Thursday. Joseph Cirincione on Obama’s popularity with purpose. The most remarkable thing about the historic vote at the United Nations Security Council on Thursday morning was not the unanimous endorsement of the goal of a world free of nuclear weapons, or the new barriers erected to prevent their spread to other nations, or the eloquence of President Barack Obama’s remarks. No, the most amazing part was what happened after the vote. Senior international diplomats scrambled like sports fans to get a handshake and a photo with the quarterback. It was all smiles and photo flashes. Everyone wanted a piece of Obama. He glided like a rock star through the crowd. It must feel good to be the most popular president America has had in decades. Obama is using his personal appeal, the uniqueness of his presidency, to push forward a transformational agenda on the global stage. This is popularity with purpose. But Obama knows this is not about him. He always says that—and he seems to mean it. He is using his personal appeal, the uniqueness of his presidency, to push forward a transformational agenda on the global stage. This is popularity with purpose. Now, as president, he has gone from a visionary speech in Prague in April to international consensus at the U.N. in September. Think about this: No nation opposed the plan to prevent terrorists and new nations from getting the bomb and to work step by step to eliminate the 23,000 weapons that exist. Obama has consolidated global support behind the vision and the plan. He has laid the legal and diplomatic basis for enforcing tougher penalties for those that cheat on nuclear treaties. He has gotten all the nuclear nations to agree to new steps to get rid of the weapons they now hold in staggering numbers. It is remarkable progress. It is so remarkable that many doubt it is real. I am not talking about the far right. There is now a conservative hate machine that takes every security issue and turns it into an attack. Every defense position Obama takes is “weak,” “naïve,” and “dangerous.” They get extra points for “appeasement.” It is now completely predictable and unproductive to any sober national-security debate. How many times can you listen to John Bolton say the same thing? But there are many serious people who just do not believe it is feasible or even desirable to eliminate nuclear weapons. They don’t believe there is anything we can do to stop Iran or North Korea. Momentum is building for the new approach. U.K. Prime Minister Gordon Brown announced Thursday that Britain would cut its nuclear forces by 25 percent, building only three new nuclear submarines to replace the four now in service. Russian President Dmitry Medvedev moved closer to tougher sanctions on Iran, saying, “Sanctions rarely lead to productive results, but in some cases sanctions are inevitable.” The new Japanese prime minster, Yukio Hatoyama, said: “I highly approve of President Obama’s courageous leadership…We will work together with the United States toward a world without nuclear weapons.” Hatoyama’s words were a rebuttal to nuclear hawks who claim that if we reduce our weapons Japan will build its own. Here is the secret to Obama’s policy success: This is not really his policy. Obama’s program represents the broad consensus that has emerged over the past few years among centrist security experts in this country and abroad, among liberals and conservatives. Only the far right remains on the fringe. Almost three years ago, Republicans Henry Kissinger and George Shultz and Democrats Bill Perry and Sam Nunn overcame partisan divides to write an op-ed in The Wall Street Journal calling for “a world without nuclear weapons.” Their vision and the practical plan they developed to move step by step toward that goal have been endorsed by two-thirds of the former secretaries of state and defense and national-security advisers, including Jim Baker, Frank Carlucci, William Cohen, and Madeleine Albright. No, it is not the left that has inspired Obama’s program, it is the very center of America’s security elite. Today, Kissinger, Shultz, Perry, and Nunn, four men who built the nuclear empire they now advocate dismantling, sat in the U.N. Security Council chambers, applauding the resolution they inspired. They, too, are using their reputations with new purpose. 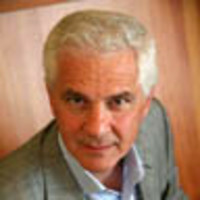 Joseph Cirincione is president of Ploughshares Fund, a global security foundation, and author of Bomb Scare: The History and Future of Nuclear Weapons.